These are such a favorite we could eat them every day. I usually serve them as an appetizer, but have served them as an entree (serves 10 as an appetizer; 4 as an entrée). One of our friends actually ate 20 of them--before dinner! Grease two large baking sheets using 2 tablespoons of the oil on each one. Cut the wings into 3 pieces; discard the wing tips (or save for stock), and cut the wings at the joint into two pieces. To make the marinade, heat the remaining 1/2 cup peanut oil with the rest of the ingredients in a small saucepan, stir until the butter melts. Add the chicken wing pieces to a large bowl, add the marinade, and toss to coat the chicken wings evenly. Marinate for 30 minutes at room temperature, or up to several hours or overnight in the refrigerator. Stir a few times while marinating to evenly coat wings. Place the wings on the greased baking sheets and put in the preheated oven. Cook for 30 minutes, then pour off excess liquid. Loosen the wings with a metal spatula and turn, repositioning the wings so they all cook evenly. Cook 20 minutes longer. 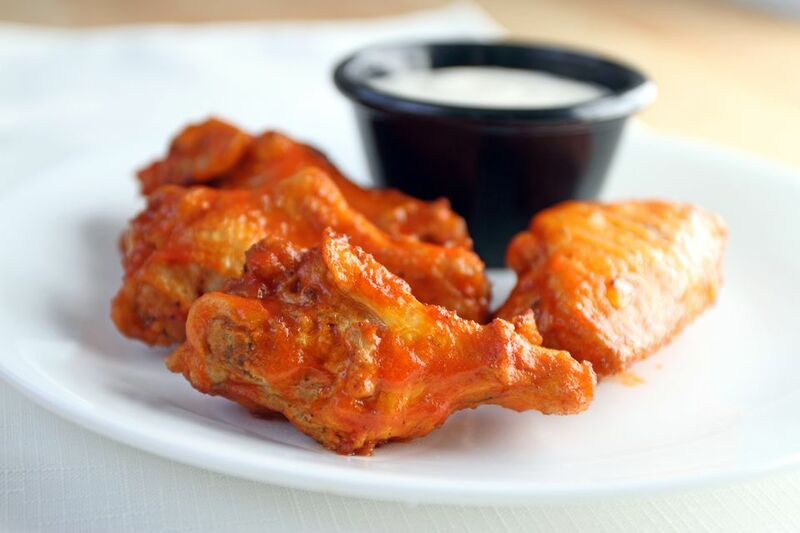 The cooking time may vary according to the size of the wings. If the wings are small, bake for 20 minutes, loosen and turn as directed above, and cook 20 minutes longer.